Just as he predicted, Steve House and Cory Richards were not able to summit Makalu via the normal route. The same snow storm that collapsed the kitchen in base camp has halted their progress at approximately 20,000 feet. This is the second time Steve's been thwarted by weather on Makalu. If you're wondering whether or not he'll be back, consider what he wrote at the beginning of this trip: "Visiting the same peak twice makes it a project. Three times is an obsession." 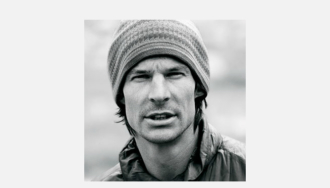 Hopefully Steve will call again before heading home with his final thoughts on Makalu.